Sarajevo born Toronto based rapper Elmnt hooked up with two Beathearts' favourites Slakah the Beatchild and Dutch producer Franklin Samuel Groen a.k.a. FS Green. Apparently Elmnt and FS Green hooked up online. 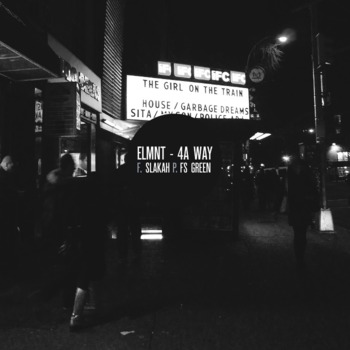 Elmnt found an FS Green instrumental online, laid down some rhymes, put it online and FS found it the next day googling himself and hooked up. The excellent soulchoped boombap track Looking 4A way is what came out (so far). It's available now via Bandcamp. Check it!